Today I'm so excited to share one of my new favorite Etsy shops with you! 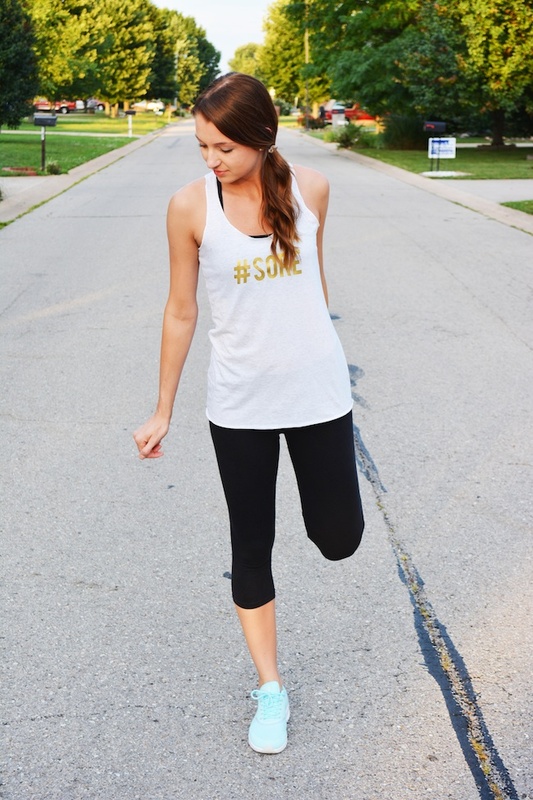 Bloom Studio Market sells the cutest little workout-inspired tanks with all kinds of clever graphics ("buck furpees," "oh my quad," and "meet me at the barre" to name a few). This shop was started by a dear blogging/social media friend, the lovely Lily Marek (formally of the blog Lily Says Go) and she is one talented lady! 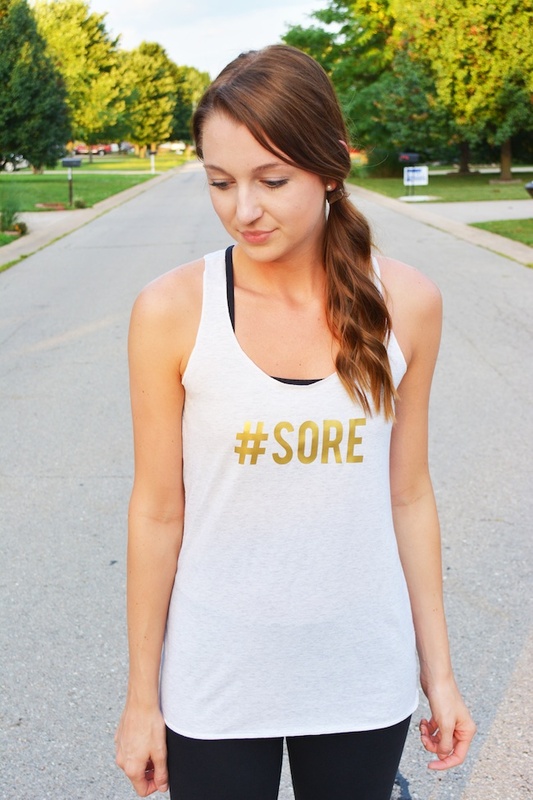 I'm obsessed with my #sore tank and have worn it an embarrassing amount of times in the past couple of weeks. Bloom Studio Market is running a great promotion right now too! If you buy 3 tanks you can get a 4th free with the code 'FREETANK'. 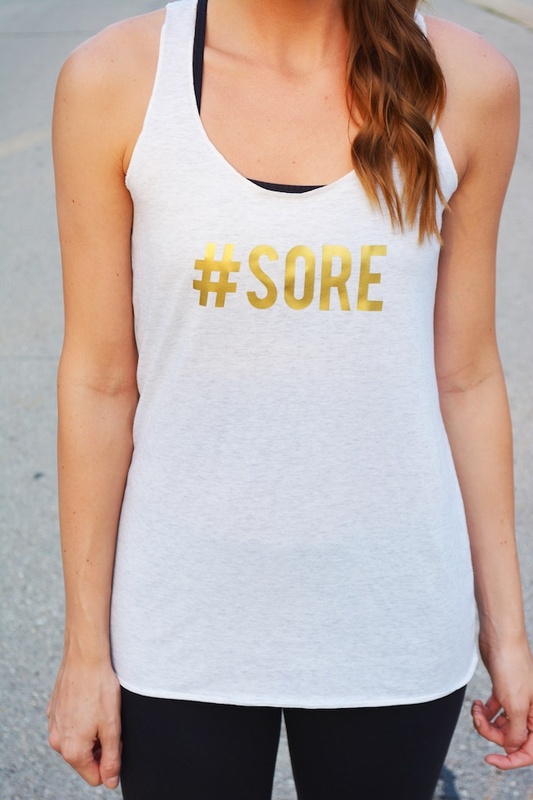 I used this to buy 3 tanks as gifts for a few fitness-loving friends and then got this tank (special ordered in the light gray above) for myself - score! The countdown to the wedding has now reached 11 days (*&%$*&^#^!!!). I mean........ But next week should be a fun one on the blog because it will be wedding themed!! I'll be sharing my bachelorette party outfit (coming up this weekend! ), engagement photos, bridal showers + more! can't wait for all the wedding bliss next week, you will be a gorgeous bride! Wow advance best wishes to you Jacy!!! !